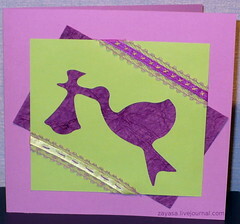 This is a freshly made New arrival card made by a sketch for Card Patterns this week. And one of my first cards I made using Fiscars stork template. It is embellished with hand stitching on the ribbon with embroidery floss. 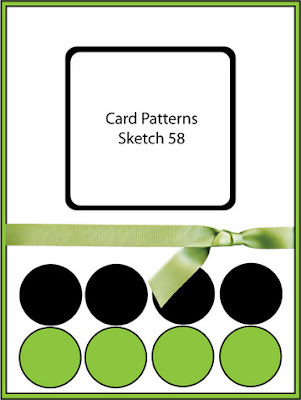 Oh love the scallops - great take on the sketch - thanks for playing with Card Patterns! What a sweet card! I love the colors you used.